Jenny Rouquette is leading a project which aims to address the issues of spiralling poverty and environmental degradation in the region of Fort Dauphin in the south east of Madagascar. 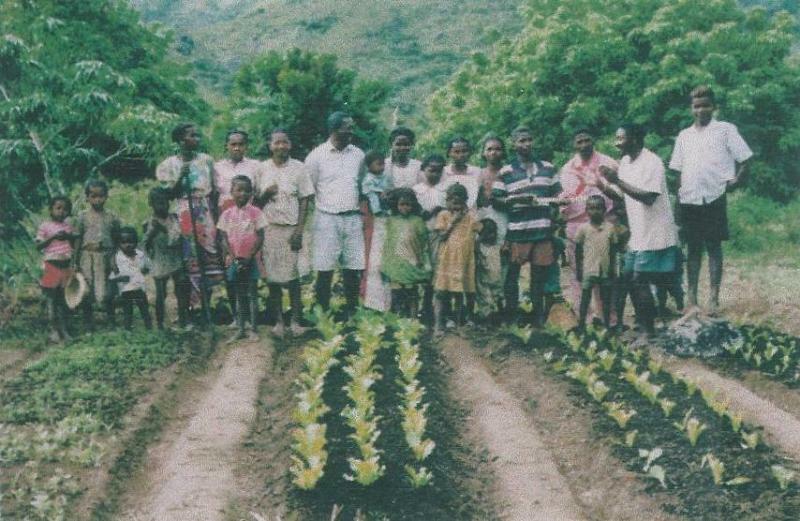 Some 60% of the 15 million population of Madagascar live under the poverty level, and survive on subsistence farming which is often highly environmentally destructive Many traditional communities are facing the loss of their unique culture and language because of the deterioration of their land through unsustainable farming practices. The project focuses on local people’s resource use and how best to meet their needs whilst ensuring the conservation of the threatened littoral forest habitat, home to dozens of threatened endemic wildlife species. Working with women’s groups and other local committees, the team will help to develop income generating ideas which will enable the communities to remain in their historic territories and to revive their cultural traditions. Jenny is British with professional skills in community based conservation and natural resource management, facilitating the development of sustainable livelihoods and in institutional strengthening of small NGO’s. She has worked on community conservation and development projects in Indonesia and Bolivia and spent several months in Madagascar developing this initiative with Azafady staff and local communities. Azafady’s aim is to alleviate human poverty and protect a biologically rich but endangered environment through supporting local people in South-Eastern Madagascar to meet their basic needs and establish sustainable livelihoods. A multi-disciplinary approach is taken, involving the establishment of primary health-care and improving water supply and sanitation, promotion of sustainable natural resource management and community conservation initiatives, and assistance in the development of small-scale income generating activities and institutional strengthening. Jenny’s project will focus on 3 communities in the region – Evatraha, St Luce and Andramanaka/ Tsanoriha – each differing in environmental, social and economic conditions. The project will support these communities in forest management according to their specific circumstances. The fokotany (small community) of St Luce is in the process of setting up a GELOSE, a mechanism by which legal control of area management is passed to local communities. This will be the first forest GELOSE in the region and much needed support will be provided to the community in this process and in the creation of a forest management plan. A second element of the project will be the developing of small scale income generating activities, based on the sustainable use of local resources vital in providing economic alternatives to environmentally destructive activities. Examples of ideas identified by the communities as desirable include honey and beeswax, sun dried fruit and basketry. Finally the project seeks to support and strengthen local institutions – whether women’s groups or resource user groups – protecting the rights of those who live in the forest is of course fundamental to protecting the forest itself.